The Honda Classic lived up to its well deserved reputation as a beast in round one. The PGA National Champion course provided the highest scoring first round of the 2015/2016 season at slightly more than 2 1/4 shots over par. Despite the difficult conditions, Michael Thompson shined as he posted a spectacular five under par 65 and is currently tied for first with Sergio Garcia. 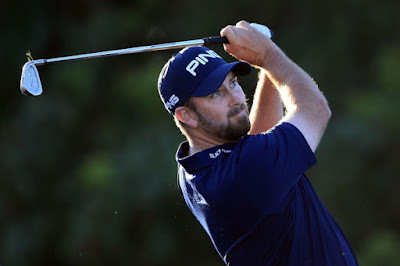 Whether it's the Bermuda grass, the difficult conditions, or the course just fitting his eye, Michael seems to play well at the Honda Classic. Michael bogeyed his second hole of the day but carded a bounce-back eagle on the third hole and his round got kicked into high gear. He followed the eagle with another birdie and ultimately carded five birdies and the eagle against two bogeys. Michael will look to keep the momentum going in round two when he tees off at 8:15am ET with playing partners Graham DeLaet and Morgan Hoffman. Following his opening-round 65 at The Honda Classic 2016, Michael Thompson talks about how an eagle at the third hole jump started his round. In the opening round of The Honda Classic 2016, Michael Thompson rolls in a 30-foot putt for birdie on the par-3 15th hole. 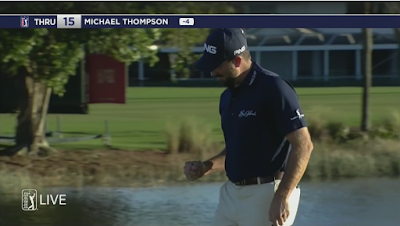 In the opening round of The Honda Classic 2016, Michael Thompson sinks his birdie putt from 20 feet on the par-4 9th hole. 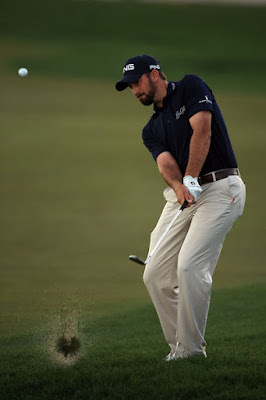 In the opening round of The Honda Classic 2016, Michael Thompson sends his 132-yard approach in tight setting up a short birdie putt on the par-4 8th hole. 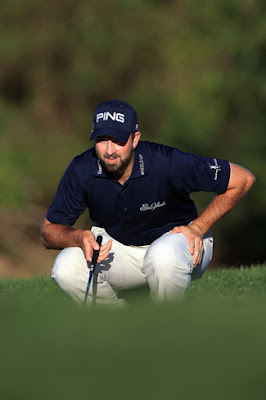 Michael Thompson reacts to his 30 foot birdie putt on the 15th hole during the first round of the Honda Classic.